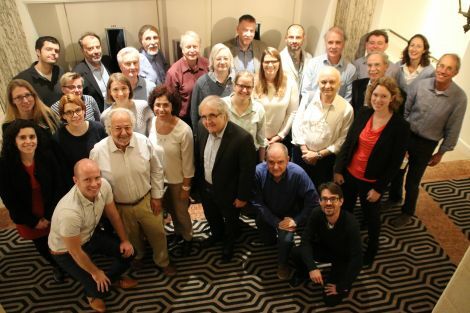 The Risk Adjustment Network met in the Hague, Netherlands, from October 11th to 14th, 2017. The meeting’s program is attached, as is the presentation I gave titled, “Risk Adjustment, Big Data, and Machine Learning.” The presentation, co-authored with Alvaro Riascos, Los Andes University, Colombia and Ran Bergman, Deloitte, Israel, is our preliminary effort in this direction. More work is planned with one of Israel’s sickness funds (health care plans) with the goal of (a) establishing the advantages and limitations of Big Data and Machine Learning vis a vis more conventional statistical methods, and (b) identifying big data typologies for consistent estimation across systems and over time. The first article concerns the underdeveloped nature of Israel’s risk-adjusted allocation formula, especially its inability to help combat growing regional disparities.The second piece suggests that, in spite of its shortcomings, the overall allocation – by age groups – is more consistent with combating years lost due to disability – measured in Disability Adjusted Years of life lost – Dalys- rather than combating mortality. Additionally, last year I was part of a World Bank effort in Chile which dealt with risk adjustment. This was in response to a government request for assistance in organizing the financing of the health system. This work is another good example of using risk adjustment to finance health systems and solve real world problems. For more information on the meeting's full program please see the first link below. To view the full presentation given by Professor Chernichovsky, and co-authored with Alvaro Riascos and Ran Bergman, please see the second link below.